The work crew: Max Beyer, Senne and Gabby Dolter, Ron Tabtab, Coach Mac and Jojo Donetti. Coach Mac provided the expert guidance on how to install them correctly and our team got them up and ready in less than 2 hours! Thanks to all who pitched in to help! Senne Dolter and Max Beyer hook up a new net. 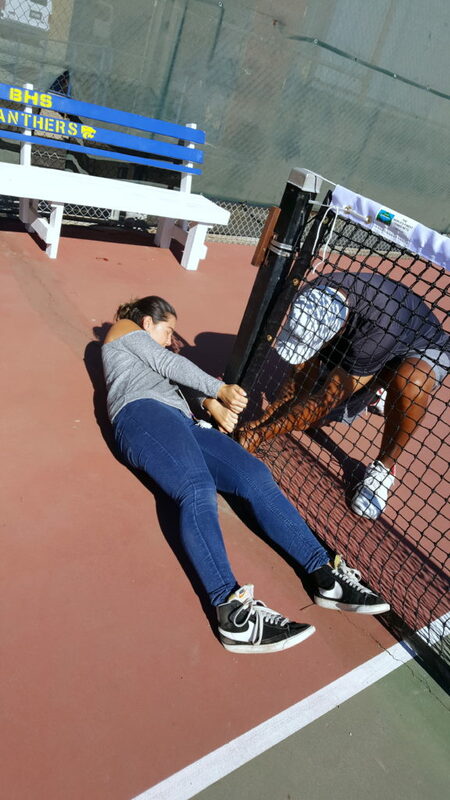 Max Beyer, one of the Panther Tennis Team captains, using all her might to keep the new net tight for Coach Mac to tie it down! ← Benicia High School girls tennis finishes season 73-0! Grab your mixed doubles partner for the BCTA Annual Member Event! 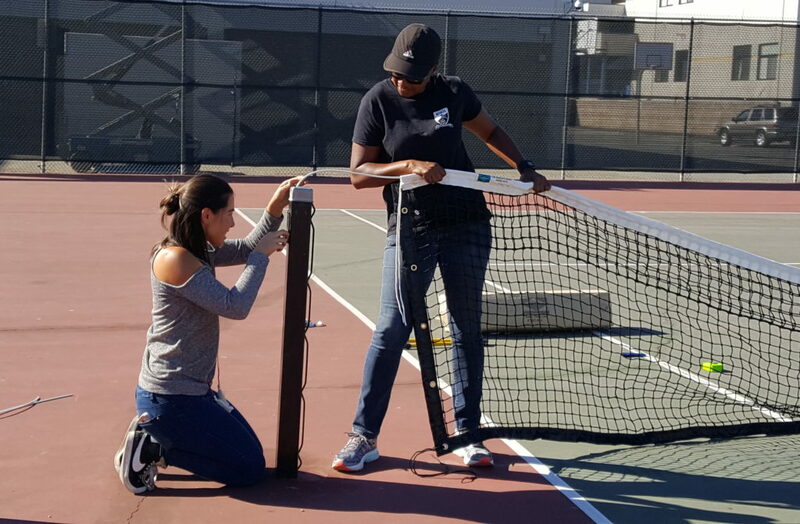 BCTA is an all-volunteer community tennis association. Thanks to the members above who are giving their time to lead our organization. 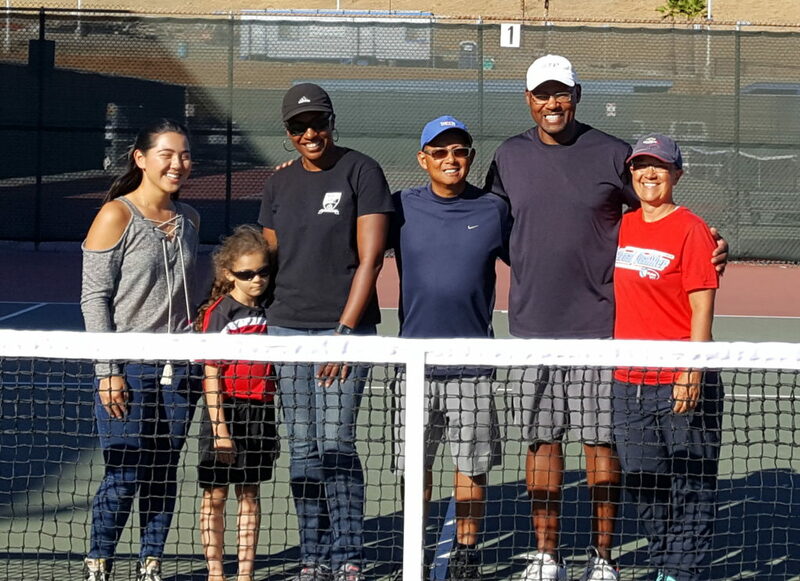 Copyright © 2019 Benicia Community Tennis Association. Powered by WordPress. Theme: Spacious by ThemeGrill.